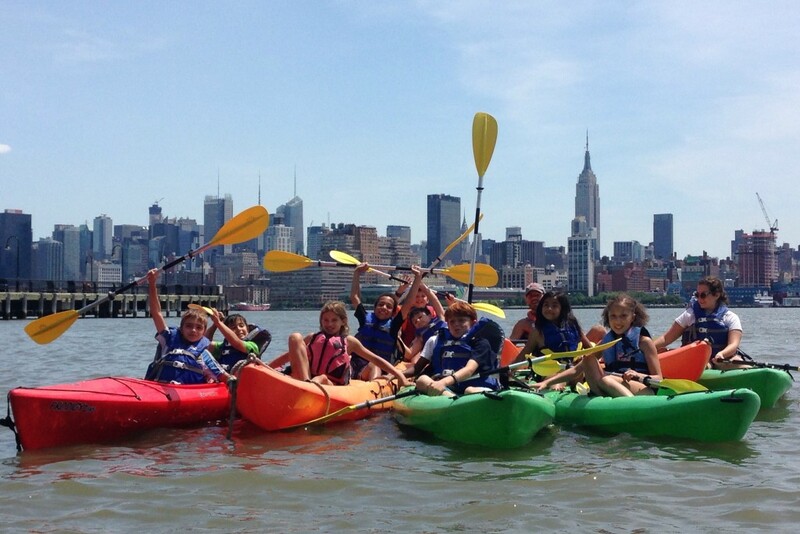 Resilience Adventures Youth Programs strives to build personal resilience and coastal environmental awareness for NY/NJ youth through team-building activities, on-water adventures and Hudson River estuary exploration. Book early! Camps and family programs may sell out! Check out our calendar and book online! Private Lessons, Tours/Classes, Birthday Parties/ Corporate Groups and other group or individual private programs are available upon request. Prices vary according to duration of program and number of participants. Please email info@resilienceadventures.org or phone (617) 438-5708 to inquire or schedule private programs. Resilience School & Group Programs are half-day or full day paddling courses for intact youth groups such as camps and schools. are available upon request May – September. During the three or six hour youth group program, students participate in cooperative, team building games and learn paddling skills with an emphasis on environmental awareness. A parent or guardian must sign the required waiver form for youth participation. Advanced registration is required. 12 students per session. 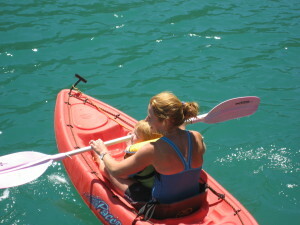 Age: minimum of age 10 for paddleboarding and age 8 for sit-on top kayaking. Fees vary according to duration of program and number of participants. Financial assistance for youth groups is available through the Metropolitan Waterfront Alliance, http://www.waterfrontalliance.org. Please email info@resilienceadventures.org with questions or to book a group program. 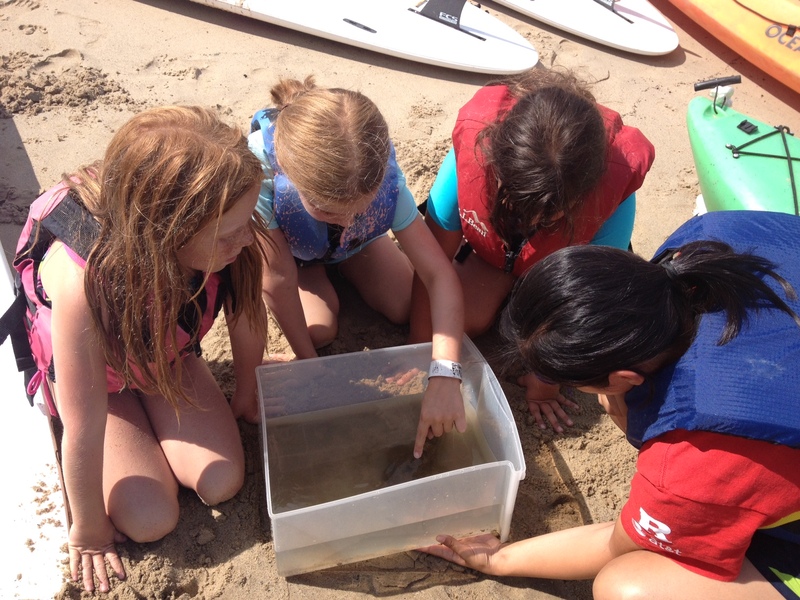 Learning about the estuary, campers observe a Toad Fish as part of a catch and release activity. Resilience Adventure Camp is a five day empowering camp program for middle school girls ages 11-13. Resilience Adventure Camp will include cooperative games, team building initiatives, environmental education activities, an art project and daily paddling skill practice on the water. 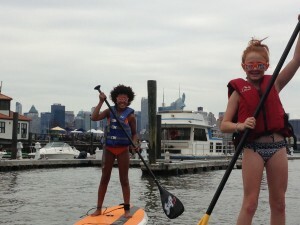 Students will learn both kayaking and paddleboarding techniques as well as basic navigation, leadership skills and expedition planning. Students will take turns leading and navigating on the water as their paddling skills increase. Resilience Adventure programs follow all industry guidelines and standards for safety. Instructors are trained through the American Canoe Association or British Canoe Union. A waiver must be signed by a parent or legal guardian prior to youth participation.